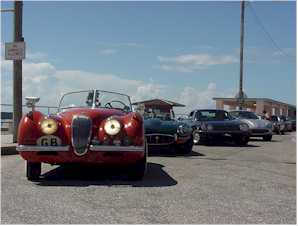 When the XK8 was launched in 1996, The Spirit of its Ancestor was the slogan used by Jaguar in many ads and press releases. Indeed, it wasn't just another new design hitting the market but the direct result of half a century of sports car heritage including cars which were always among the most advanced, best performers and the most exciting to drive. When Jaguar launched its new XK120 sports car in 1949, it offered performance unheard of at the time. Powered by the all new XK engine, a powerful straight 6 design that was going to be at the heart of Jaguars for decades to come, it drew its name for its top speed : 120 mph. A magic number that few cars could reach, especially road cars, yet the Jaguar could do it and for a reasonable price. Originally hand built as a showcase for the XK engine while the saloon it was meant for was completed, the car turned out to be so successful that Jaguar had to build production tools for the body panels after orders exceed expectations. 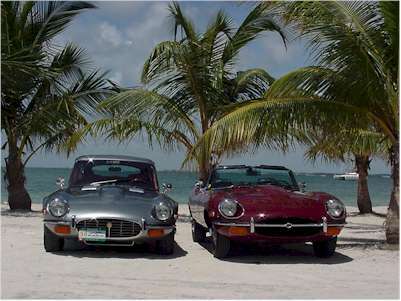 In the late 50s, Jaguar started development of an all new and revolutionary sports car. If the curves, XK engine and long bonnet were familiar and reminiscent of the racing D-type, other features were on the edge of technology such as an independent rear suspension and steel monocoque body with engine subframe. Like it's predecessor the car was refined during the following years as the needs and demands of consumers changed and they started demanding more comfortable cars. The E-type evolved during the 60s in the early 70s with longer wheelbase version, 2+2 coupe configuration, automatic transmission, improved interior, power steering and air conditioning. 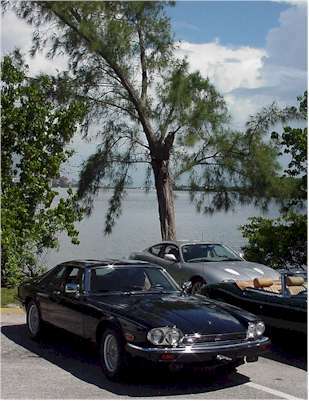 The last version, the series 3 introduced in 1971, featured an all new V12 engine that allowed the car to recover some of the performance lost with the late 60s tightening emission control. In the early 70's, as the E-type's design was showing its 50s origin and sales started to slow down, it was time for a change and the all new Jaguar sports car was no longer a pure sports car but a GT, a Grand Tourer designed to cruise effortlessly and in comfort. Powered by the same V12 engine which was in introduced in the series 3 E-type, it was a comfortable, luxurious, powerful smooth car which turned out to be Jaguar's longest lasting design despite many enthusiast original skepticism. Offered originally as a 2+2 coupe, many versions were proposed in the 21 years the XJS was produced, including convertibles, 6 cylinder models and limited edition sports V12 celebrating Jaguar victories at Le Mans in the late 80s.